An assembled and tested VT-3 Volume-Tone Control for projects that use our T4Plus-Switch product. Gives your instruments with four pickup coils 102 pickup tones. Uses a push-pull pot to let you put all four pickup coils in Series to give you QuadraBuckerTM pickup tones. This is a new level of pickup tone power that you cannot get anywhere else. One VT-3 Volume-Tone Control with labeled wires. 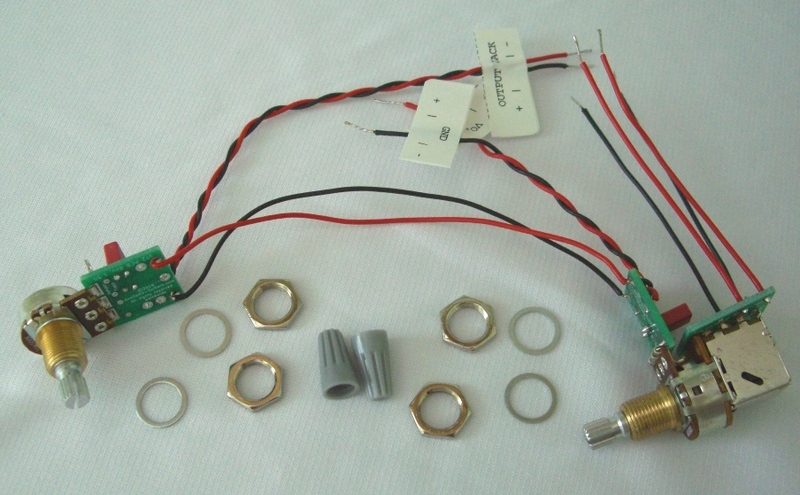 Includes two high quality Bourns 500K right-hand audio taper potentiometers, .047mfd. The "Tone" control is a push-pull pot and the "Volume" control is a standard pot.